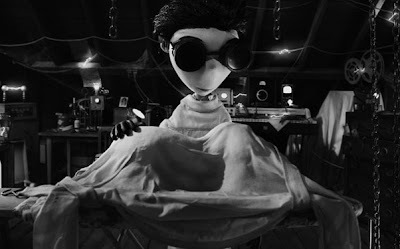 The trailer for Tim Burton's latest stop motion animation for Disney, titled Frankenweenie has been released. After losing his dog, Victor through scientific experiments brings it back to life but with strange and monstrous consequences. Filmed in black and white and rendered in 3D, the film definitely reminds me of 'Nightmare before Christmas'. Whilst not a lot is revealed in terms of plot, it does look like one to look out for given it is by Tim Burton!